A mix of clouds and sun. High 58F. Winds NE at 10 to 20 mph..
Cross Country Ski Montana is a new mobile app designed to provide information on ski trails across Montana. The mobile app does not require cell service to provide information. 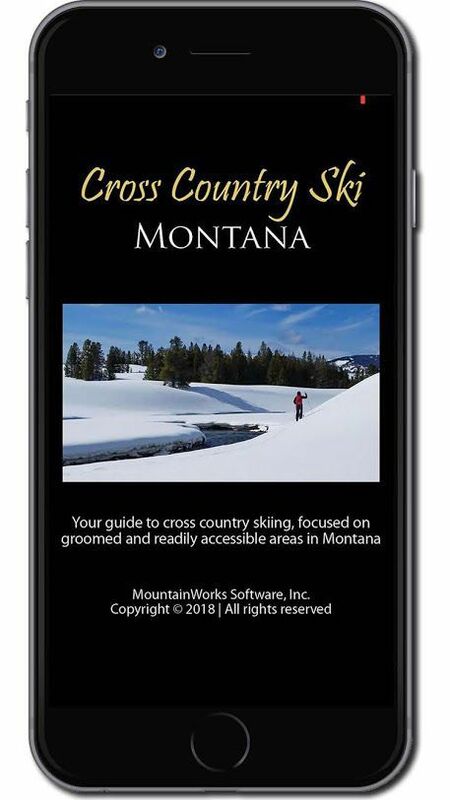 Cross country skiers have a new way to navigate to their next adventure in Montana with a recently released cell phone app developed by the Bozeman husband and wife duo at MountainWorks Software. Katie Gibson and Scott Bischke have just launched Cross Country Ski Montana, available on Android and iPhones for $4.99. “Cross Country Ski Montana speaks to our love of all aspects of cross country skiing — the wild country it takes us into, the good health it imparts, and the wonderful cross-country skiing community,” Gibson said in a press release. Previous apps they’ve developed include one with information on floating and fishing the state’s streams (Montana Fishing), and the other describes and locates Block Management Areas for hunters (Montana Hunter Access). “We love to explore but there’s not always information,” Bischke said in a phone interview. So the duo has made it a mission to produce the information themselves. The cross country skiing app has details on 72 sites so far and can easily be updated. Not everyone will see their favorite Forest Service road highlighted as a route, instead Gibson and Bischke focused on the most popular areas based on discussions with ski club members and ski shop owners and staff. “It’s impossible to hit all of the spots,” Bischke said. Because they live in Bozeman, the Bridger Creek Golf Course and Hyalite Canyon trails are two of their favorite local spots. They also like the Bighorn Pass to Fawn Pass loop on the north end of Yellowstone National Park via the Gallatin Canyon. “The goal of Cross Country Ski Montana is simple: to serve as a one-stop location for great information about Montana's outstanding cross country ski trails and areas (for both classic and skate skiing), Nordic ski clubs, and ski shops,” the developers said. By clicking on the downloaded apps’ map markers, skiers can learn details like a rough description of the trail, the cost at groomed sites, whether dogs are allowed, the trail distance, and links to grooming maps, trail maps, or even directions to the location. Separate map markers identify nearby ski shops in case you need gear before hitting the trail. Ski clubs are also identified as sources for more information. In addition to Montana ski trails, the app also jumps into nearby Yellowstone National Park and even eastern Idaho to offer suggestions on where to ski. No cell service is needed to activate the app.